Clean energy is drastically expanding in India. For the past few days, I have been writing on many technology topics inspired by lots of technological advancements happening in my country. Today I came across an article about off-shore wind energy project planned to be implemented in Gujarat. This will be the first off-share clean energy project for solving power needs in India. Off-shore wind energy projects have already been in discussion for the past few years. The interesting new now is that 35 national and international developers have shown interest in this project and are ready to make it happen. Pipavav port in Gujarat is planned to be the location for this new off-shore wind energy project. The discussions and plan approvals will happen in the coming months starting the initial discussion that is going to happen next month. It is expected that this project will be able to harness about 1000 Megawatt electricity. Don’t know why but most of the projects are being launched well in Gujarat city and are being executed successfully. There are lots of transportation constraints in installing huge wind turbines inside the shore. That is the reason why these off-shore projects are taken into consideration. However, there are also other challenges these off-shore wind turbines can create. Wind turbines though it is a good innovation and a clean energy for human beings, it can be considered as a hazard for the natural beings. We might have read about lots of articles on how wind-turbines becomes a suicide equipment for the birds migrating from one place to another. Some birds knowingly or unknowingly get hit by the wind turbines. The population of migrating birds decline because of this reason. This is already a threat for birds in the land region. If these giant turbines are going to be installed in off-shore regions, then it is definitely going to disturb the migrating birds during a particular season. There is also no option to switch the turbines off during the migration season as the turbines are controlled by the wind. The main reason why this is installed off-shore is that sea route is highly suitable for transportation of the equipment needed to assemble the giant turbines. Even though all the factors are ease for humans, it is definitely not going to make the nature comfortable. 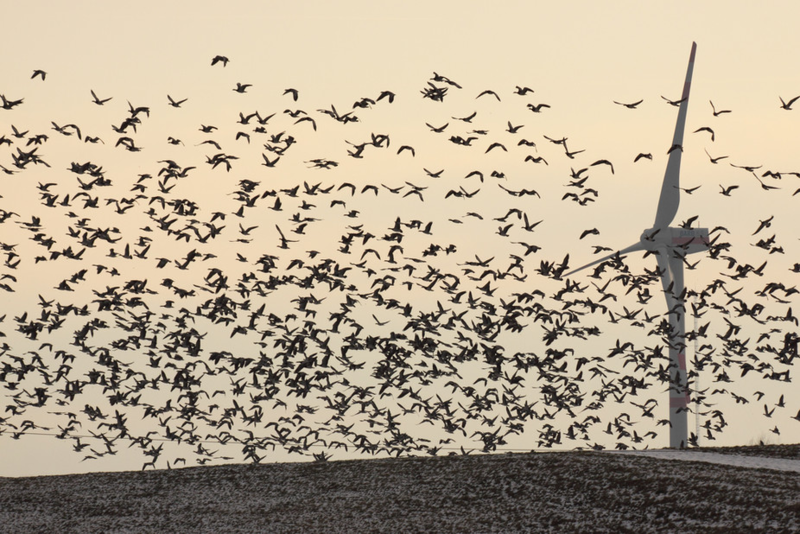 When birds are migrating in a huge group, they will not see these turbines as a threat, only when they go near them, they get hit by the turbines. However, if all lots of birds are hit by these turbines, we might be able to see a huge population of giant fishes near the turbine base to collect the dead birds as their food. 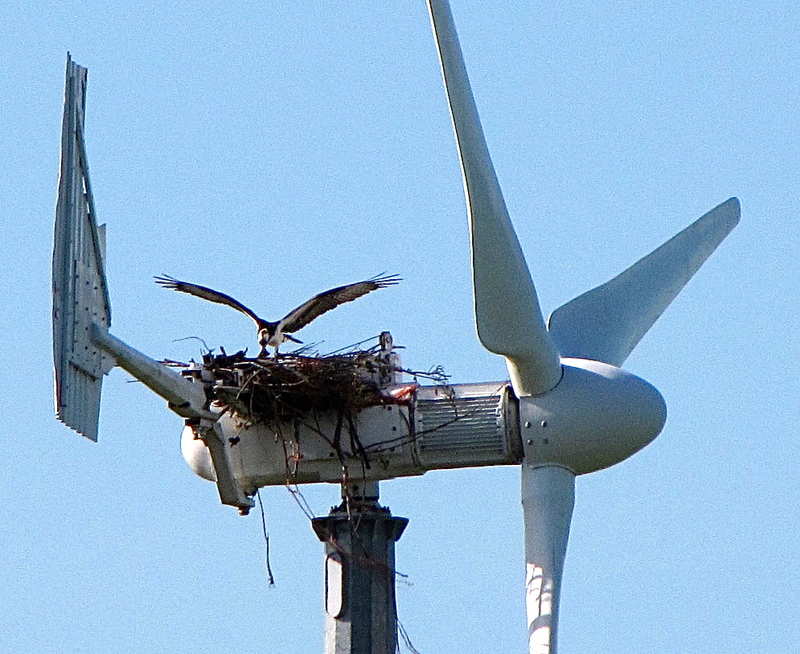 There are only a few birds that make use of the wind turbines in a clever way to build their nests. Check the below image. Considering the above as a natural disturbance there are also other drawbacks in using clean energy project. The major drawback is that both wind energy, as well as solar energy, are land intensive. They will require lots of land mass exclusively dedicated to harnessing the clean energy. In most of the places, the agricultural land is being converted to solar production units considering the energy requirement of the country. Though the government is taking lots of initiative on this, they should also be considering the growing need for agriculture as well. We are also deviating away from natural ways of food production to artificial ways due to a reduction in agricultural yield. Though the government is working on a clean energy project for the future, they should also be working on improving other basic needs like food through agriculture by not destroying the agricultural land for clean energy projects.